Twowaysthroughlife.com historical owner info, name servers, Analytics ID, Adsense ID, Addthis ID, advertisers, screenshots, meta tags, whois, site and server info. 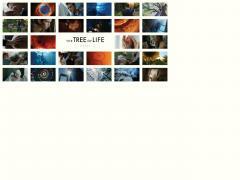 Terrence Malick's The Tree of Life. Coming this summer. Sites related to Twowaysthroughlife.com based on metadata.